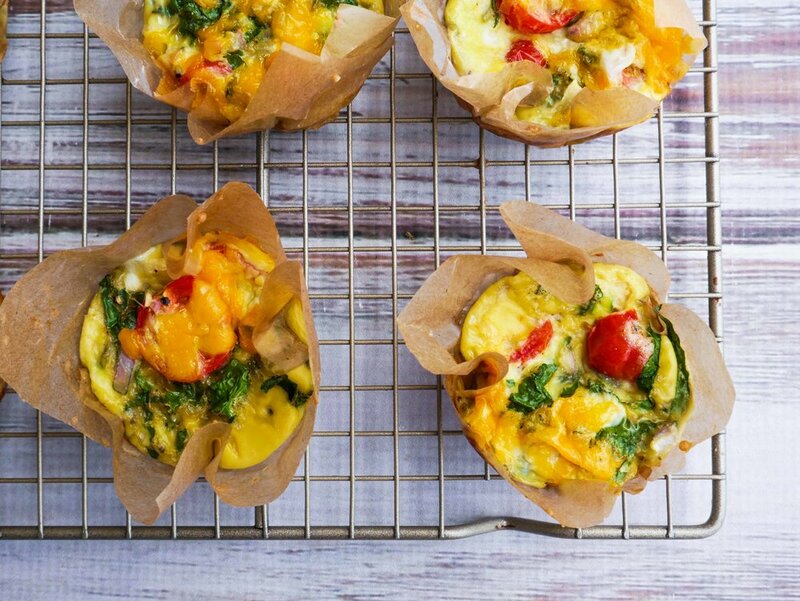 Avoid skipping breakfast by making these wholesome breakfast muffins ahead of time with kale, eggs, cheese, or leftovers! Not only are these filling, easy to make, and tasty, but they are an excellent vehicle for hiding veggies. These muffins have become a staple in my house and are perfect to keep in your fridge to enjoy for breakfast, lunch, as a snack or a side for dinner. I will throw in whatever I have in the fridge including mushroom, feta, basil, bacon, broccoli or carrot. These can also be stored in the freezer and can be used on those days when the kids need something to eat on the go! Pre heat oven to 180 degrees, fan bake. Grease muffin tin with liners or spray with oil so the muffins don't stick when removed. In a large bowl, crack the eggs and whisk together with the milk. Add in the kale, onion, basil, cherry tomato's, and salt + pepper. Using a tablespoon, spoon the mixture into the muffin cups and sprinkle with cheese. Place into the oven and bake for 20 minutes or until the become slightly golden. These can be stored in an airtight container in the fridge, they can also be frozen.